Screen Locker. Temporarily lock and hide the desktop; unlock with a password. 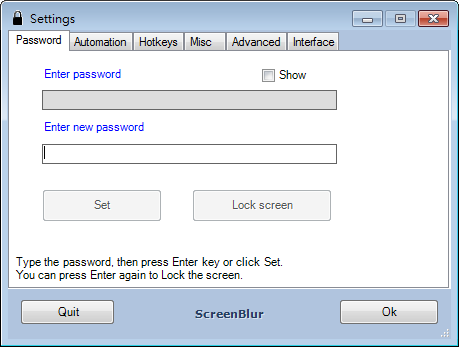 - Lock the screen; hide visible windows, icons, gadgets and taskbar. - Auto lock, hotkeys, mute sound, customizable lock screen, and more. - Keeps a child or cat away from messing around with your data. - Windows compatible (.Net framework required).